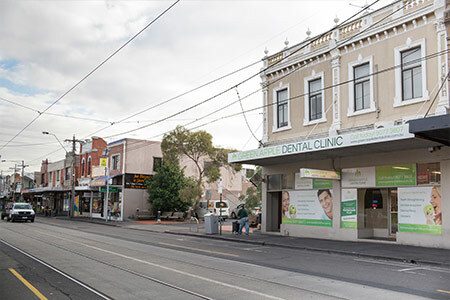 Our modern and spacious dental practice is located in the heart of the Melbourne CBD, on Sydney Rd in Brunswick. We are conveniently close to public transport, with the Albion St/Sydney Rd tram stop located just across the road and several bus stops within walking distance. 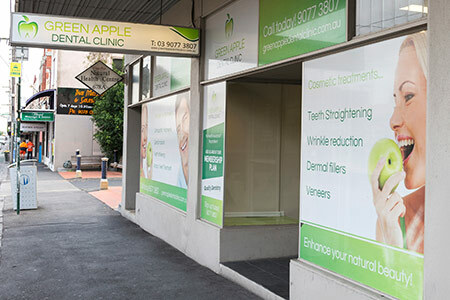 We are also within proximity to the Brunswick Markets, with plenty of car spaces available near our surgery. Patients can enjoy a large public carpark close by, along with free parking along Sydney Rd. 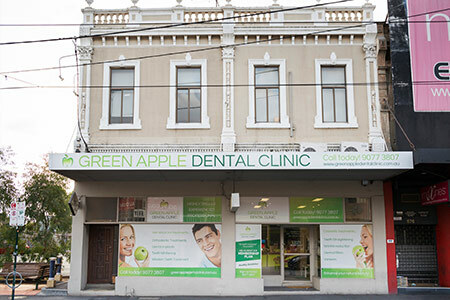 We look forward to welcoming you and your family into our friendly dental practice and will ensure that every moment spent at Green Apple Dental Clinic is comfortable and stress-free. We’re open 6 days per week and also offer emergency dental appointments.